Meanwhile, the S&P BSE Sensex was up 119.99 points, or 0.33% to 36,978.22. On the BSE, 7.43 lakh shares were traded in the counter so far compared with average daily volumes of 4.11 lakh shares in the past two weeks.  The stock had hit a high of Rs 275 and a low of Rs 263.45 so far during the day. The stock hit a 52-week high of Rs 463.40 on 26 October 2017. The stock hit a 52-week low of Rs 220 on 16 July 2018. The bank's gross non-performing assets (NPAs) stood at Rs 44659.56 crore as on 30 June 2018 as against Rs 47468.47 crore as on 31 March 2018 and Rs 37657.76 crore as on 30 June 2017. The ratio of gross NPAs to gross advances stood at 11.05% as on 30 June 2018 as against 11.84% as on 31 March 2018 and 10.56% as on 30 June 2017. The ratio of net NPAs to net advances stood at 6.91% as on 30 June 2018 as against 7.48% as on 31 March 2018 and 7.09% as on 30 June 2017. The bank's provisions and contingencies rose 17.18% to Rs 2582.30 crore in Q1 June 2018 over Q1 June 2017. Provision coverage ratio of the bank was at 60.69% as on 30 June 2018. 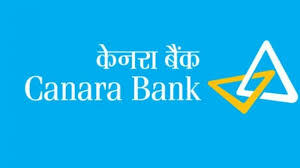 Government of India holds 72.547% stake in Canara Bank (as on 30 June 2017).